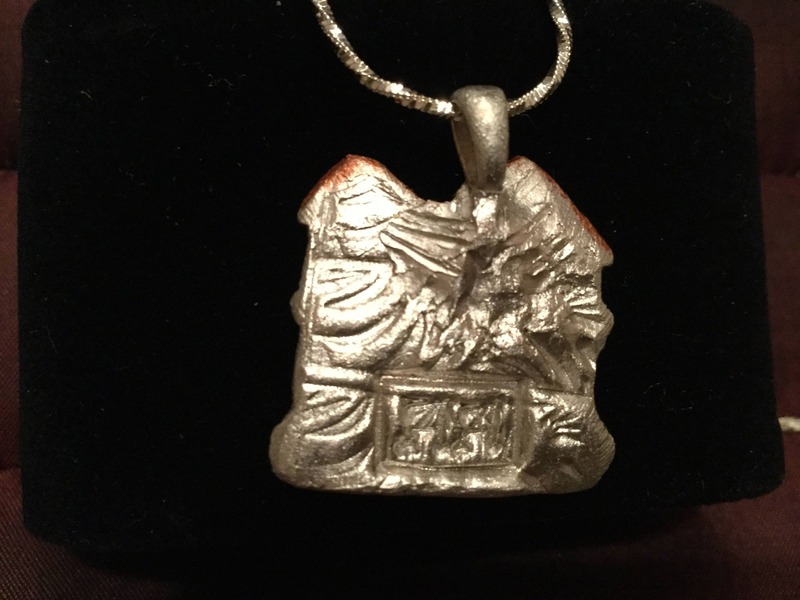 B227 pure silver, .999 Silver that is purer than Sterling. 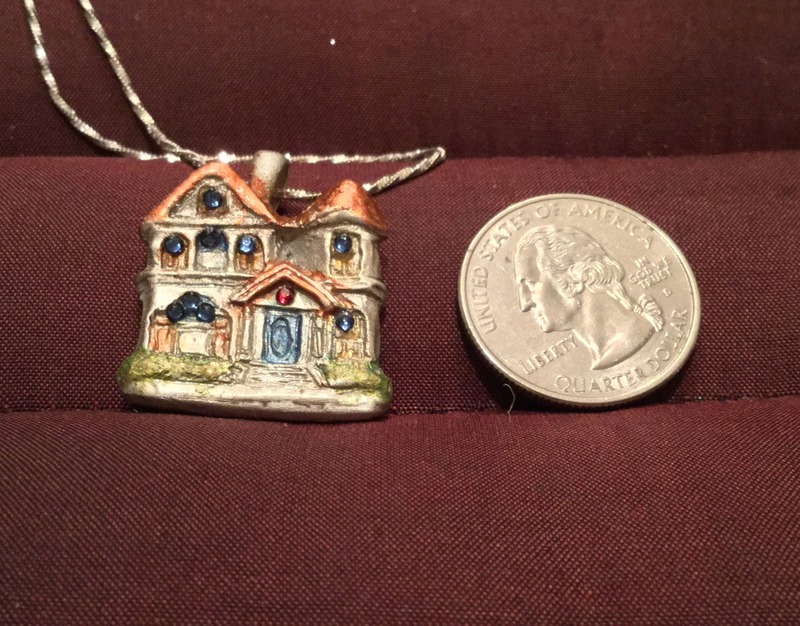 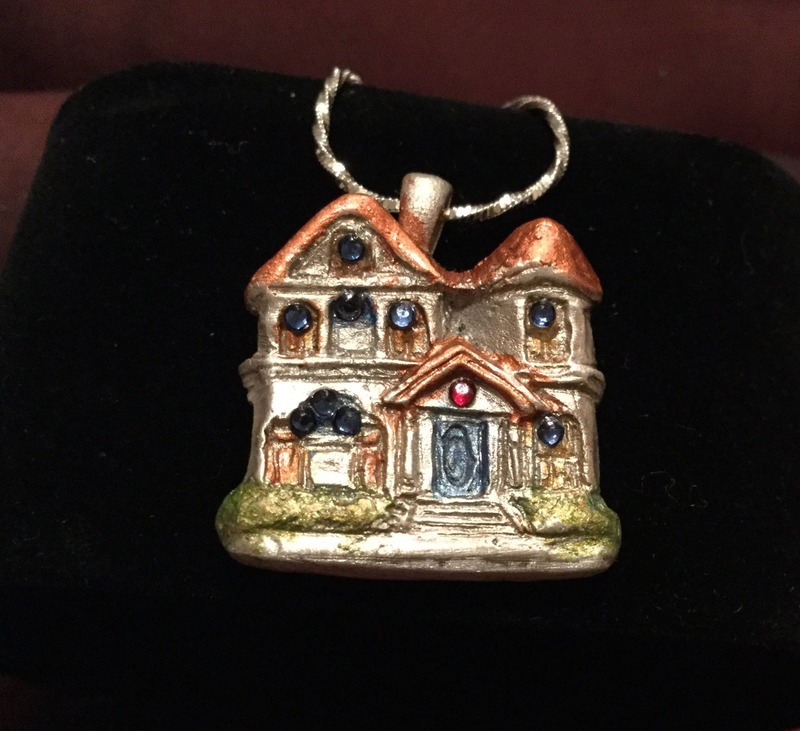 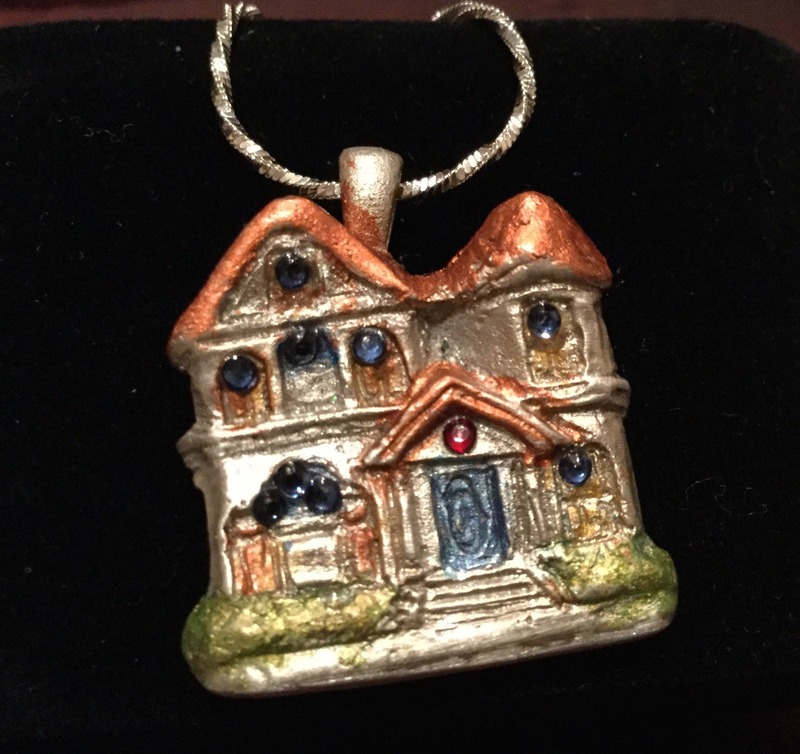 Silver enhanced with jeweler’s dye in the shape of a wonderful Victorian, 2 story house with arch window turret and a light in each of the windows (in the form of a deep sapphire Swarovski Crystal. 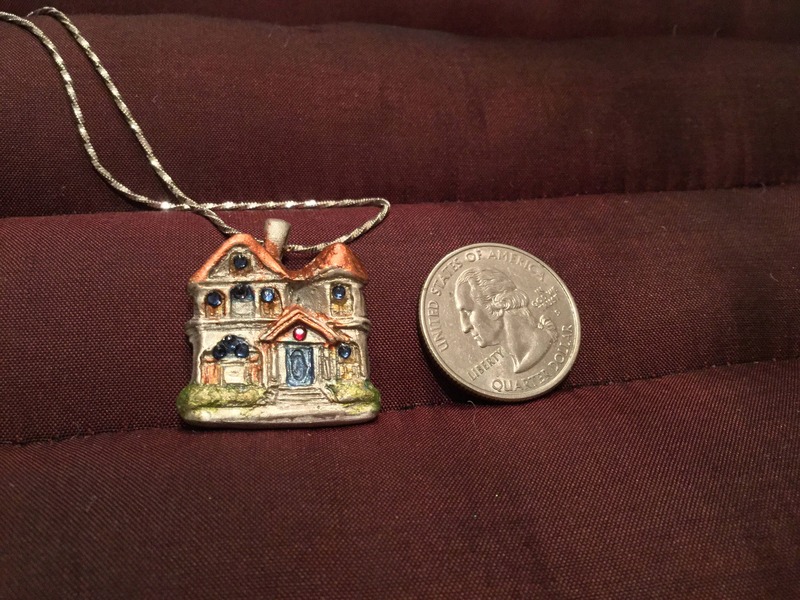 Hangs from a sterling silver handmade (by another artist) necklace that is 18" long. 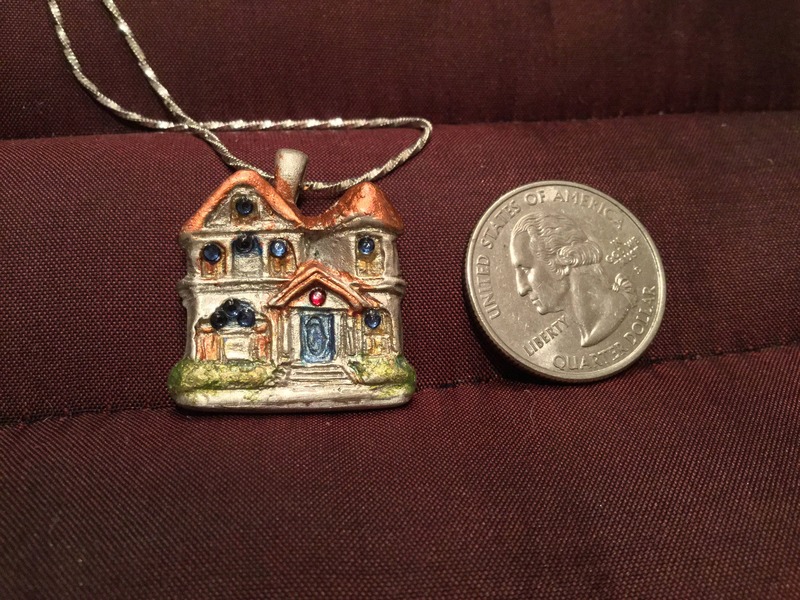 The House is fun to wear and looks like a turn of the century house in the Neighborhood in which I live in NJ. 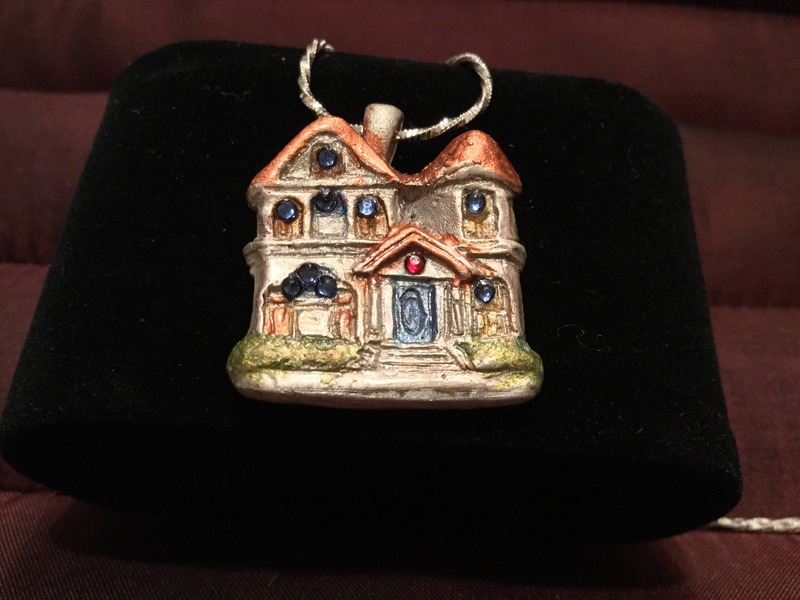 It makes a great gift for moms, newlyweds, anniversaries, old house enthusiasts and those interested in restoration and preservation.